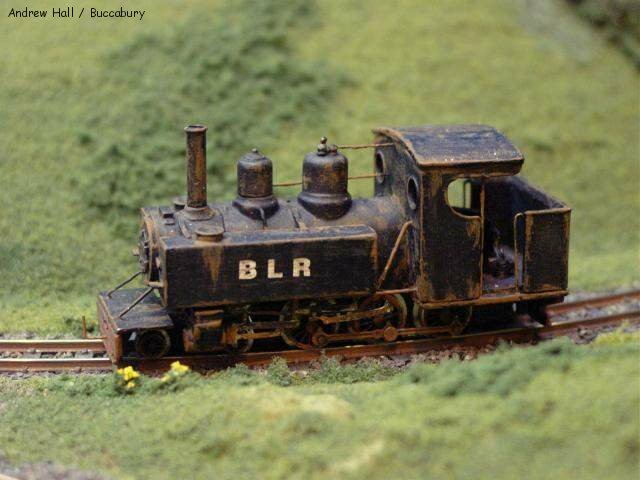 BUCCABURY LIGHT RAILWAY, The History. The original Mr. Ephraim Bayly was an industrialist from the Midlands who moved south into Buckinghamshire in 1811. The brickworks at that time was a small business producing materials for the local area. Mr. Bayly, using his industrial background bought into the company bringing with him the promise of expanding the undertaking by mechanising some of the processes. This he did and within comparatively few years the company was in a position to justify its own private wharf on the Bicester Canal. This canal had been opened in 1795 by the Bicester Canal Company as a connecting link from the Grand Junction Canal (Buckingham Arm), through Bicester to the Southern Oxford Canal at Hampton Gay. In 1836, following the retirement of the original owner Ephraim Bayly bought out the company and the name changed to Bayly's Brickworks although locally it has always been known as the Buccabury Brickworks. 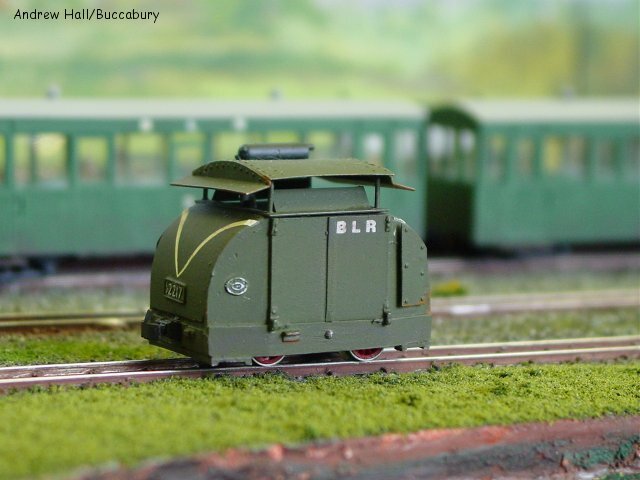 The Buccabury Light Railway was incorporated by Act of Parliament on 1st March 1919 and opened on a miserable day on October 25th that year. Part of the original clay pit tramway had been upgraded for passenger and general goods traffic and a new station, Buccabury Town, was built near the river, to the west of the town. The new railway ran from this station to connect with the L&NWR Oxford to Cambridge line at Charndon. Here, transfer sidings were built and a halt provided on the larger railway. To commence operations in 1919 the company purchased secondhand two Baldwin 4-6-0 and two protected Simplex locomotives from the War Department. Over the years these were supplemented or replaced by other secondhand locomotives and by the 1950's none of the original machines had survived. Goods traffic was provided for using ex-War Department 'D' type bogie open wagons with a number of closed vans and, surprisingly, cattle wagons. For the passengers, two tramway type saloon coaches with straight matchboard sides were built onto WD type bogies, as used under the 'D' type wagons, by the Metropolitan Carriage & Wagon Works. They were fitted with continuous vacuum brake equipment. A brake handwheel was provided in one end of each coach, acting on brakes on the bogie at that end of the coach. The guard would normally travel in the saloon, taking on the role of conductor. Increased use of road transport (the main Bicester to Buckingham road is nearby) and the loss of much of the passenger traffic brought about the complete closure of the railway at the end of 1964. The tramway survived but most of the remaining equipment was broken up on site with a few items being sold on. Following closure the track was lifted by a Bicester scrap merchant and the land quickly reverted to agricultural use. The wooden station building at Buccabury was sold but it collapsed whilst attempts were being made to dismantle it. The L&NWR halt at Charndon was demolished and only remnants of the platforms now remain. The wooden BLR building was removed and the platform left for nature to reclaim. The water tank was removed and the ash pit was filled in. The L&NWR sidings were lifted in 1965. One coach was kept by the brickworks which boarded up the windows and used it as a mobile store until it was destroyed in a fire caused by a leaking gas cylinder. The one surviving BLR coach had been removed to Steeple Claydon where, now devoid of running gear, it serves as a summer house.